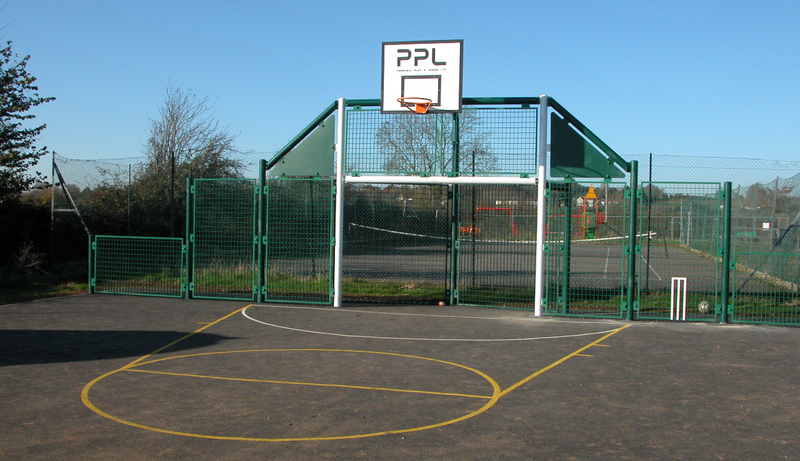 A fenced, full-size multi-use games area for individuals or groups to pursue a variety of sports including tennis, basketball, netball and five-a-side football. Equipment for all these games is housed in a locker next to the games area, a key for which can be borrowed from any of the addresses listed on the locker lid. Usage is free of charge. No booking system. There is scope for other activities on the field. Please enquire. Parking is in front of the village hall. Please note, dogs are not allowed anywhere on the field. Fivehead Playing Field is a registered charity reliant on grants, donations and fund-raising activities to finance up keep and improvement projects, augmented by self-help from committee members. Fivehead Playing Field is run by a management team of local volunteers. Frank Doggett (Tel: 01460 281549) will be pleased to answer any queries.